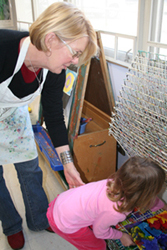 The art teachers create an atmosphere in which children are free to express themselves through a variety of visual mediums, including paint, sculpture, collage, and found materials. 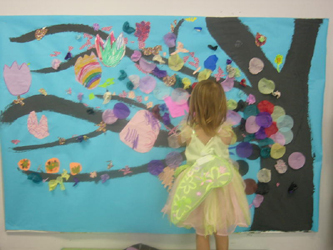 We focus on the process of making art—using materials, making choices, and talking about what we have created. We may start with certain materials or concepts, but each child is free to follow wherever his or her imagination leads.